Coolmore stallion Pierro (Lonhro), Champion First & Second Season Sire, has already left an Australian Derby and VRC Oaks winner. The quintessential racehorse, he only ever ran in stakes races, winning 11 of his 14 starts. The unbeaten Triple Crown winner as a two-year-old amassed $4.5 million and already had yearling progeny reach $1.5m in the sales ring. Golden Slipper winning dam sire Flying Spur (Danehill) has left 99 stakes winners. 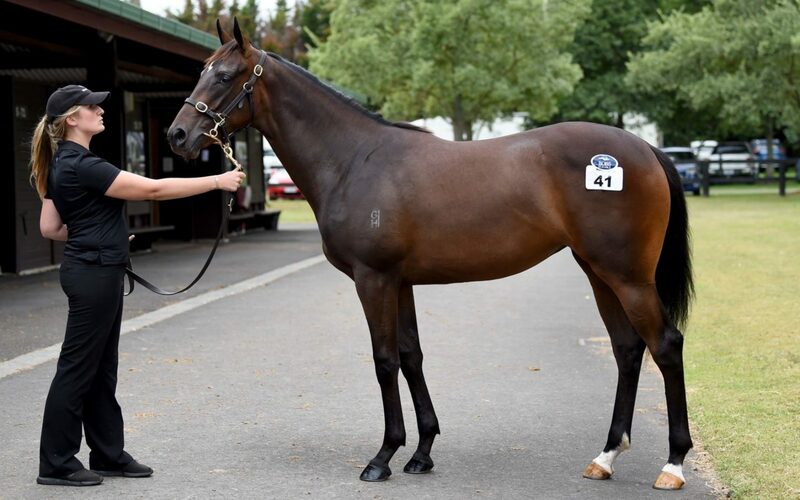 “We love the Pierro horses we’ve bought and he crosses very well with Danehill mares, and we’ve bought this filly for the cost of his service fee,” said Te Akau principal David Ellis. 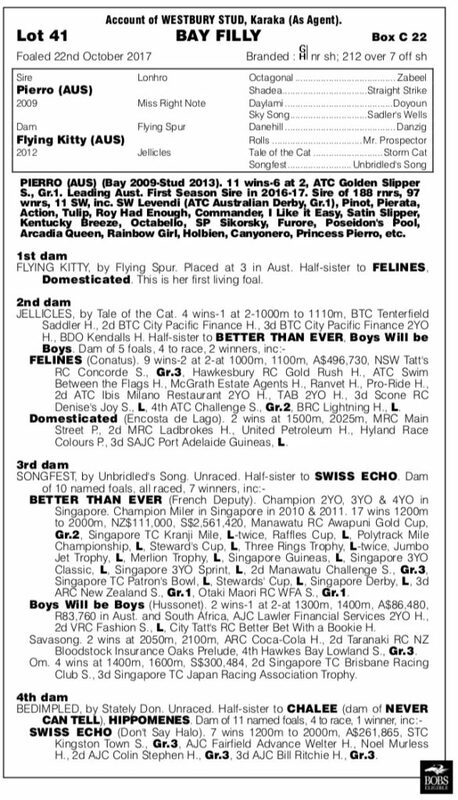 “She’s out of a nice young mare, from a good family of Gerry Harvey’s at Westbury Stud. She walked well, did everything right on the sale grounds, and a filly we think can prepare for the 1000 Guineas, train on to become an Oaks filly at three and a Cups mare as a four-year-old.